As a faithful fan of Borderlands video game series you must have own the two Borderlands themed action figures, but how could you miss another option – the Jakob’s Claptrap action figure. This is an officially licensed limited edition action figure themed by Borderlands and Borderlands 2, a well-received FPS video game series. As we can see from the images, the action figure is shaped as Jakob’s Claptrap that appears first in The Zombie Island of Dr. Ned DLC, and features exquisite details and accurate colors from its original design, additionally, the unique decoration simulates a wood grain finish. Apart from that, the action figure is fully posable, and ships with a display base for display. 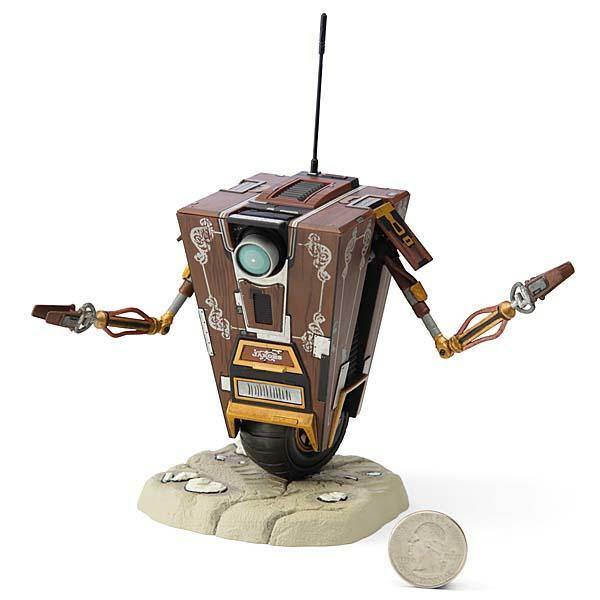 The Borderlands Jakob’s Claptrap action figure is priced at $19.99 USD. If you’re interested, jump to ThinkGeek for more details.